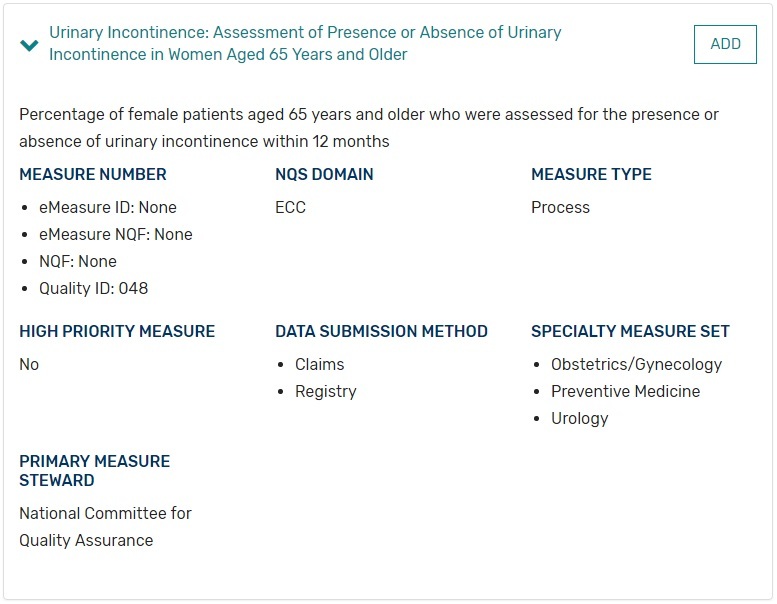 Urinary Incontinence is often queried in the Office Visit Note under Review of Systems. Standard questions are also often found in the patient's self reported medical history. The preferred method of recording these queries will be determined by the practice.